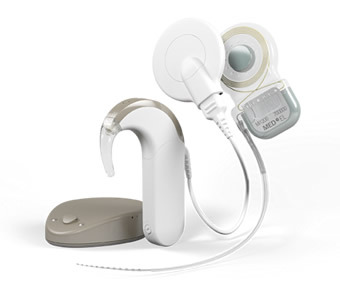 The SYNCHRONY CI System combines water-resistant and waterproof wearing options, unparalleled MRI safety, outstanding reliability, and MED-EL‘s proven hearing performance. 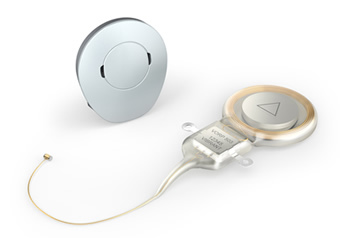 The SYNCHRONY Cochlear Implant is the smallest and lightest implant with the highest MRI safety allowing scanning at 3T without requiring magnet removal, for comfort, long-term safety and peace of mind. MED-EL audio processors are comfortable and easy to use. The lightweight and water-resistant SONNET and SONNET EAS Audio Processor features; up to 60 hours of battery life, datalogging, built-in wireless connectivity and Automatic Sound Management 2.0. It takes milliseconds to adapt to different listening environments, along with automatic volume control, wind noise reduction and microphone directionality. The unique single-unit RONDO 2 Audio Processor offers the freedom of nothing behind the ear and is fully rechargeable offering over 18 hours of use from just one charge. Also featuring Automatic Sound Management, and is completely waterproof with the WaterWear accessory. RONDO 2 is designed to be so easy to use with its innovative wireless charging, RONDO 2 has just one simple on/off button and automatically controls volume levels for you. 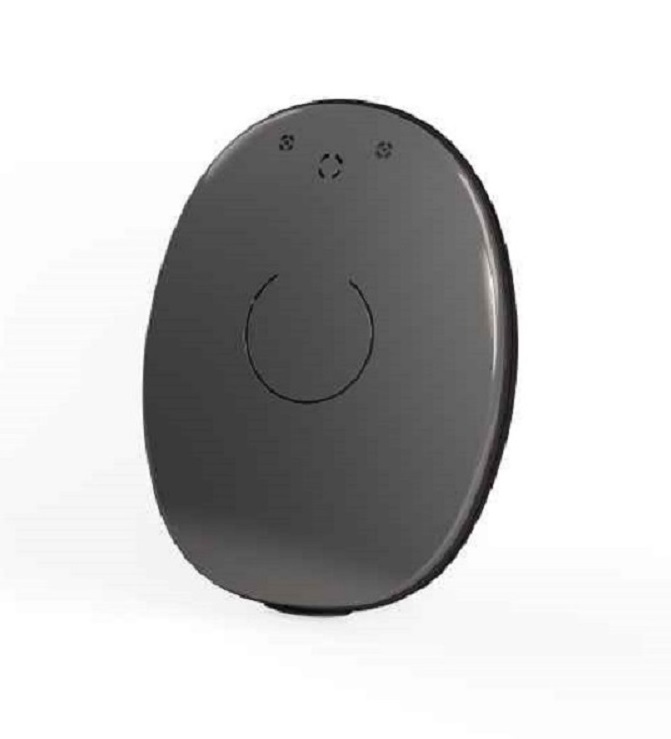 It’s easy to connect to your phone or TV using intelligent wireless accessories, and the compact design means it can be hidden discreetly under your hair. It’s Never Been Easier – Easy to use. Easy to charge. Easy to wear. 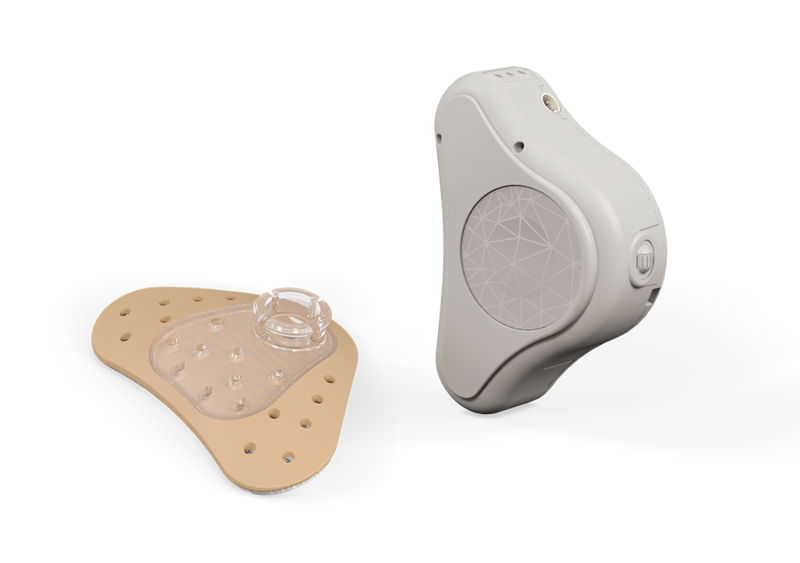 An alternative to hearing aids, the VIBRANT SOUNDBRIDGE directly stimulates the structures of the middle ear for a natural perception of sound, even in the higher frequencies. 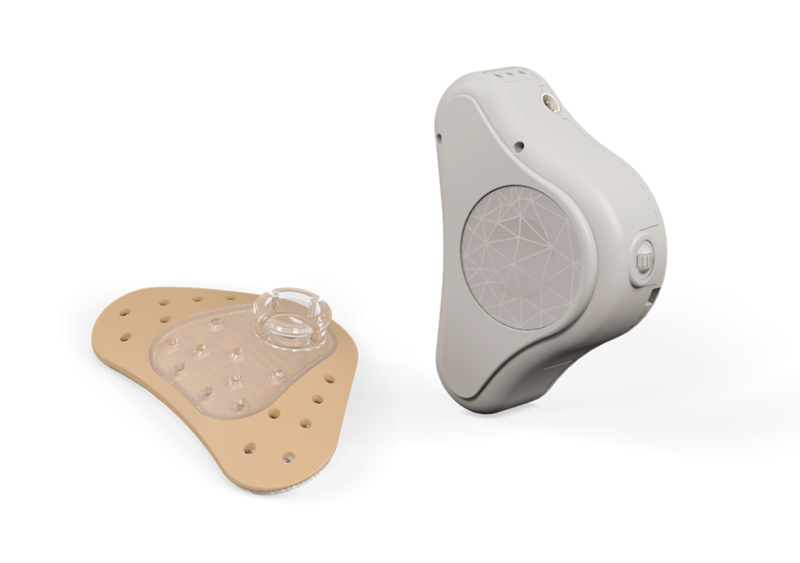 The ADHEAR system is an effortless bone conduction treatment option for people with a temporary or long-standing conductive hearing loss. With its adhesive non-surgical application, ADHEAR is reliable, discrete, and exerts NO pressure onto the skin. 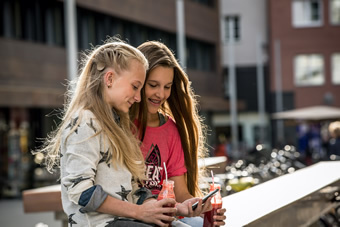 ADHEAR is an ideal choice for children awaiting bone conduction surgery and people who are unsuitable for, or do not wish to undergo, bone conduction implant surgery. 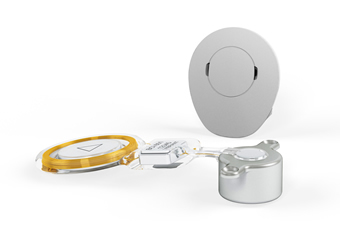 MED-EL’s active bone conduction implant provides an intact skin hearing solution, for people aged 5 and above. The BONEBRIDGE implant works by transmitting sound waves from the bone to the inner ear, which are then perceived as natural sound. Make a statement or match your hair colour with the new SAMBA audio processor, featuring the latest technology; wireless connectivity**, intelligent sound adapter, microphone directionality and a simple design remote control make the new lightweight processor, only 9g including batteries, comfortable to wear and easy to use. For use with the VIBRANT SOUNDBRIDGE and BONEBRIDGE implants. *The SAMBA Audio Processor is currently pending regulatory approval. MED-EL’s audio processors are all fully backwards compatible. This makes it easy to upgrade to the latest model and benefit from the latest technology even years after receiving a MED-EL implant.